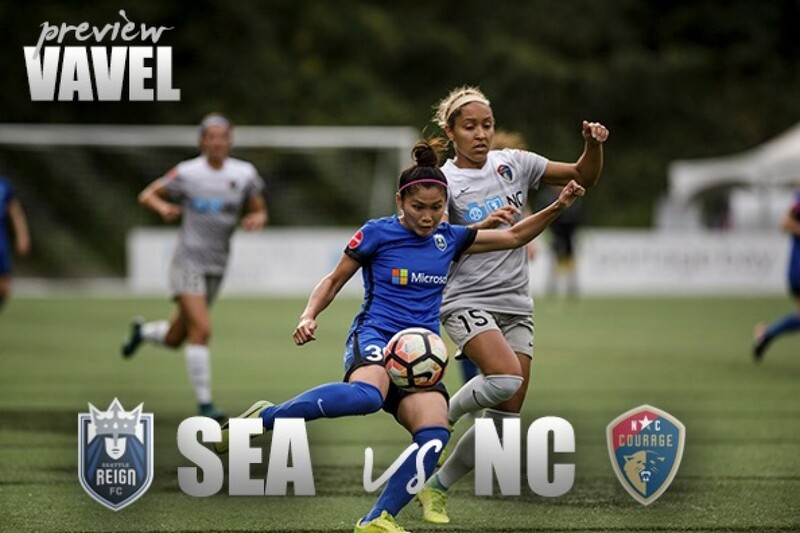 The Seattle Reign welcome the league leading North Carolina Courage Saturday at 4:00 PM EST, at Memorial Stadium in Seattle, Washington. 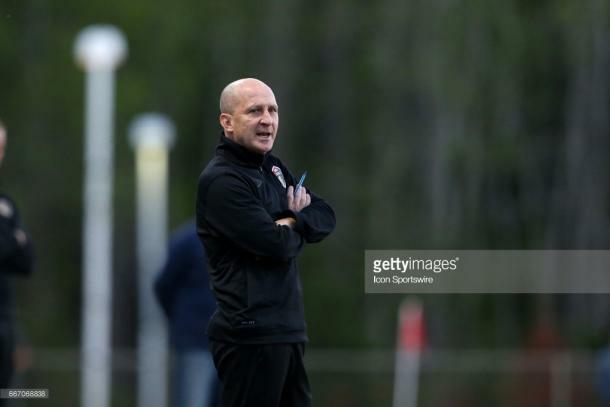 The top of the table North Carolina Courage will visit the Seattle Reign this Saturday in the second of three meetings between the two teams this season. The first meeting ended up going to Carolina in a 1-0 win, with the lone goal coming in the 70th minute courtesy of Jess McDonald. Both teams failed to score last week with North Carolina suffering it's first loss of the season at the hands of the Utah Royals 1-0, and Seattle is coming off of a 0-0 draw at Washington. Both teams come in at 1-2 in the table with North Carolina currently sitting on top. North Carolina's 12 game unbeaten streak came to an end last Saturday after falling 0-1 to the Utah Royals and a fantastic 94th minute winner by Royals forward Brittany Ratcliffe. 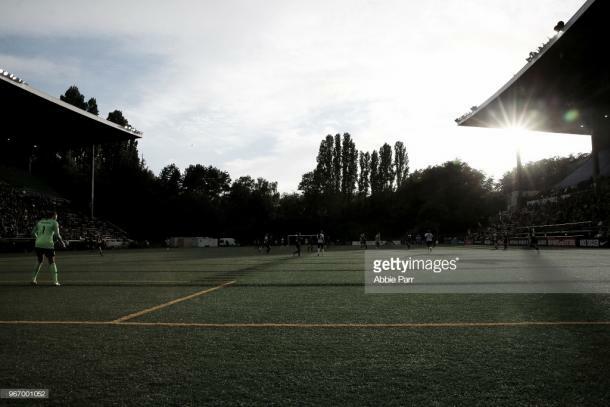 The courage will hope that this is nothing more than a bump in the road as they go cross-country to face the team who's league unbeaten record they tied last week, the Seattle Reign. The Courage will look to bounce back with a result after last week's loss. The goal scored by Ratcliffe was a little bit odd and maybe caught the Courage off guard. She showed great determination to be able to win the ball back, and great technique to be able to place the ball where she did when she shot it, but what really caught North Carolina off guard was just how quickly in succession these events took place. This loss could also be beneficial to the Courage in the long-run. Teams who go on long unbeaten runs do sometimes need a kick up the backside to remind them that they're human, mortal, and capable of being beaten. So while this loss may have provided a little bit of short-term gain for the chasing pack, it may have instead provided a long-term gain for North Carolina. Despite the fact that Seattle are tied for second in the table with Orlando, while also having played the joint fewest games so far at eleven, they seem to have hit a rough-patch in form. They have one win, one loss, and three draws over their past five games, while only scoring two goals over that stretch as well. This run of form can be looked at from one of two ways. The first being that a team such as Seattle who has immense quality up and down the field and who started the year so strong, going 4-1-1, they should be able to keep that form going and really challenge North Carolina at the top. On the flip-side, you could say that it's a testament to their ability and resiliency as a group to be able to grind out results when they aren't playing at the top of their game. Both sides would seem to be correct in this situation, but regardless this is an absolutely crucial game for Seattle, and if they want a shot at the shield, and also proving that they are a member of the league's elite, a win here would go a long way in both categories. This will probably be the game to watch this week. It will be interesting to see whether North Carolina can bounce back with a strong performance and potential win, or whether Seattle can make a real statement of intent and hand North Carolina their second loss in a row. The Seattle Reign will host the North Carolina Courage Saturday afternoon, June 23, at 4:00 PM EST. The game will be streamed on the go90 app and go90.com.